Nishant Mouldings Pvt. Ltd. leading Manufacturer, Supplier and Exporter of Pet Preforms, Pet bottles, Pet Containers, Pet Jars, Caps and Closures in Bangalore, India. Our company in the Packaging Industry provides PET packaging solutions to a plethora of dealers in the diverse market segments of FMCG sector.Packaging has evolved from a relatively small range of heavy, rigid containers made of wood, glass and steel, to a broad array of rigid, semi rigid and flexible packaging options increasingly made from specialized lightweight materials like PET (Polyethylene Terephthalate) that has successfully found its application in food and beverages segment.We strive to continuously provide futuristic packaging solutions to our customers. Our solutions are aimed at sustainability that decrease packaging and transportation costs, eliminate the issue of breakages, reduce the carbon footprint and are recyclable. We offers a wide range of Pet Preforms, Pet bottles, Pet Containers, Pet Jars, Caps and Closures manufactured from excellent quality plastic which offers high clarity and high transparency. We manufacture our products in various sizes for meeting the exact clients requirements at affordable price. 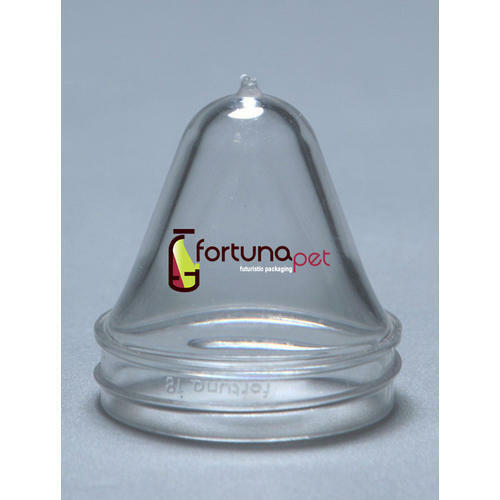 We have gained recognition in the market as one of the best and reliable Pet Preforms Manufacturer in Bangalore, India.